Löwenbräu Keller in The Rocks, Sydney, has been operating since 1976 and takes its name from one of the 6 Munich breweries represented at Oktoberfest. The restaurant offers a traditional Munich basement style venue with all of the traditional German food and beer to match. As you’d expect they have several of the regular Munich and Oktoberfest traditional beers including Löwenbräu, Hofbräu, Paulaner and Spaten. During Oktoberfest they import some of the special Oktoberfest brews with their stronger taste and higher alcohol content. Oktoberfest celebrations are running through to the end of October with set menu’s available in several options from $49-$65 which includes, entree, main and dessert. 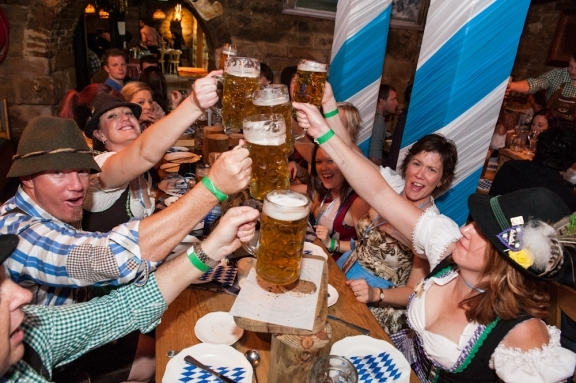 Friday and Saturday’s they have Oktoberfest keg tapping nights and live music. 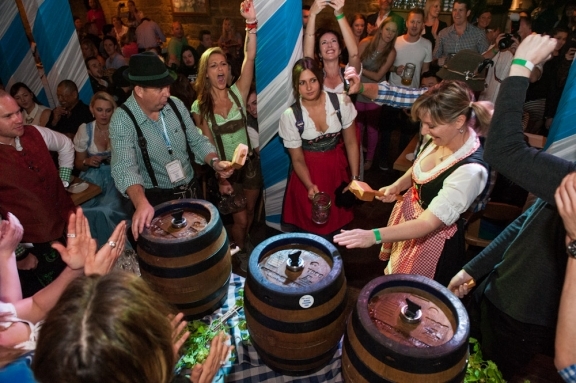 If you’re looking for an Oktoberfest event in Sydney but Oktoberfest In The Gardens doesn’t take your fancy, then this is probably a better option for you.